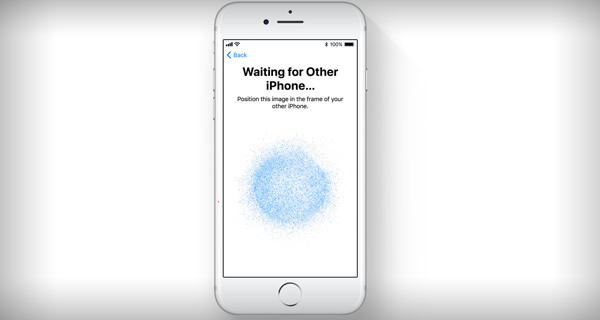 Here’s how to use the new iOS 11 Automatic Setup feature on your compatible iPhone, iPad or iPod touch when setting up a new device. Would you like to live in a world where you can just hold your old iOS 11-powered device right next to a new iPhone or iPad and instantly have the important WiFi, Apple ID, personal settings, preferences, and iCloud Keychain passwords magically beamed across to that new device? Well, as you might have guessed, Apple’s iOS 11 platform introduces a new feature called ‘Automatic Setup’ which essentially gives you all of those freedoms. It kind of works similar to how the said feature works on Apple TV where when an iOS device is brought near to the Apple TV during initial setup process, it offers a way to setup and transfer essential settings from the nearby iOS device. If you are ready to take a crash course on exactly how the iOS 11 Automatic Setup functionality works, then jump right in below. Step 1: First and foremost, as this is an iOS 11 feature you are going to actually need two devices running Apple’s iOS 11 platform. That basically means either putting two devices onto this iOS 11 beta or waiting until iOS 11 is released to the public later this year. Step 2: On the second device that you are setting up you will need to go through the standard setup procedure which involves choosing the country and the region of the device. Once you have done that the new iOS Assistant feature comes into practice. 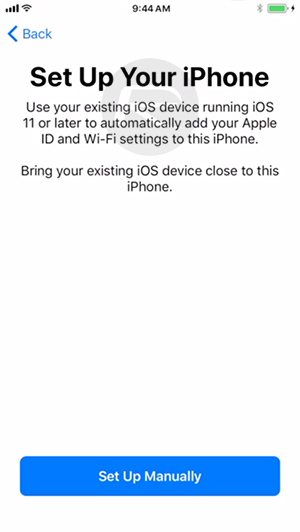 Step 3: The interface for the new feature will tell you to “Bring your existing iOS device close” in order for the process to begin. A new panel will then show up on the newly introduced device to walk you through the pairing process. Similar to how Apple’s AirPods and Apple Watch are initially set up, this will involve pointing the camera at the cloud patterns on the new hardware. Apple’s previous method of setting up the device wasn’t exactly troublesome or problematic, but it’s clear that the company wants to achieve efficiencies wherever possible. This is one key area where a user can use the second device to instantly pass across information with relatively little input from his/her side. ..pointing the camera at the cloud patterns on the new hardware..
Why not use NFC like pairing Apple watch to iOS 11 ? Why not make a full restore from the old device to the new device instead of using iCloud restore or iTunes restore ?